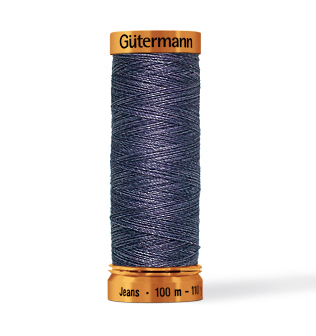 Gutermann Jeans Thread is intended to be used for denim. For hand and machine sewing. Color 1870 gold is a heavy duty jeans thread 100m or 110 yards per spool Colors 4888 Indigo and 5397 Washed are lighter weight and are 200m or 220 yards per spool.